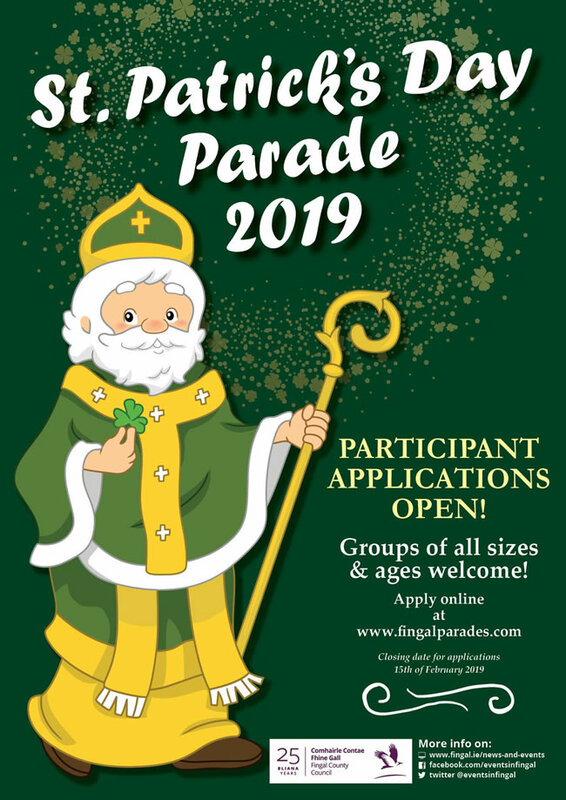 11-Feb-19: Time is certainly flying and the closing date for applications for the Balbriggan St. Patrick’s day parade is fast approaching. Register now to get your group walking in the parade. 15-Jan-19: We know you have only got over Christmas but the Events in Fingal team are already gearing up for St. Patrick’s Day and they want you to get involved! Applications are invited from community organisations and businesses to participate in the Balbriggan Saint Patrick’s Day Parade.